Emerging as the new leader of real estate sector, Berry Developers & Infrastructure Pvt. Ltd proved its mettle in the real estate sector, at the recently concluded Realty Plus Excellence Awards 2016 - North, bagging the presigious 'Affordable Housing of the year' for its BDI AMBBARAM project. Winning the award in the North region is testimony of BDI's performance on a pan India level and its capability to deliver best in class service to its customers and commit resources to ensure on time delivery of its projects. The awards served as an apt recognition of the extraordinary contribution made by real estate firms in terms of quality, product innovation and customer satisfaction. 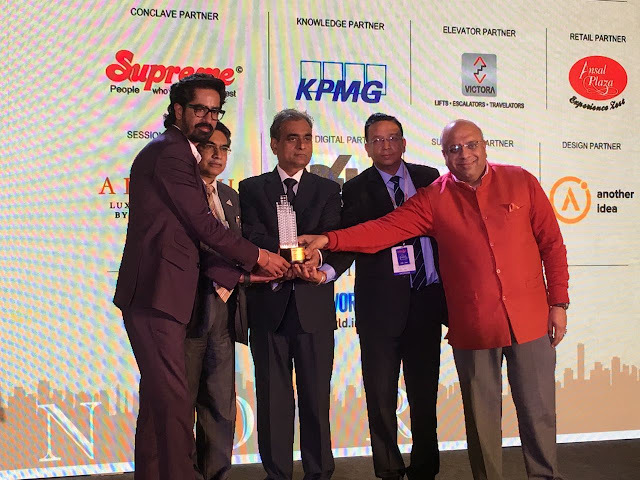 The awardees were chosen after a rigorous selection of real estate players from the entire Northern India. The event was held at the Hotel Leela Ambience Gurgaon on January 24, 2017 was attended by the luminaries and who's who of the sector. Speaking on the special occasion, Ssumit Berry, managing director of BDI Pvt. Ltd said, "It indeed is a proud moment for us! We have always made an attempt to provide value for our customers and will continue to strive to provide to fulfil their dreams. We are dedicated to multiply our development in the coming years".